PLEASE NOTE: This tour is not regularly scheduled, but it can be configured as a Custom Tour for your group with a minimum of nine (9) riders. Please contact us via email or call 970.728.5891 for more information. What gains 38,000-feet in five days while covering 285-miles by bike? For some it’s an arduous journey, for others an adventure of a lifetime, and for Lizard Head Cycling Guides it’s our newest, most challenging, and highest-elevation tour – the Colorado Climbing Camp. Note: Tour is pending for 2014 due to recent flooding in Boulder and the Denver area. The floods wiped out the roads for the first two days of the trip, and will be under construction. This is a good thing though, as they are planning to build in wider bike lanes as part of the reconstruction. We will keep this page updated as we learn more about the construction schedule. The Colorado Climbing Camp (aka: Elevation Celebration) is a celebration of high-altitude road biking across the highest paved roads on the North American continent. 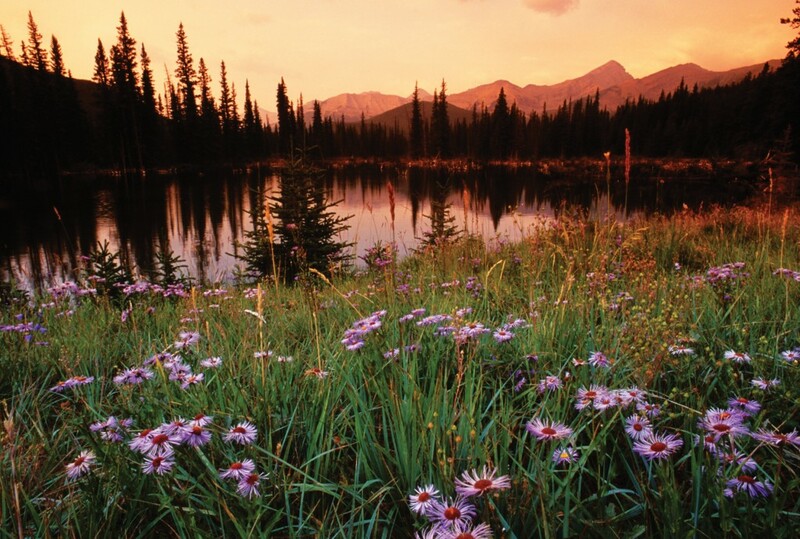 Colorado is famous for the 14,000-foot peaks that puncture its colorful sky. On the EC cyclists ride the highest continuously paved road in North America, Trail Ridge Road’s 12-miles at 12,000-feet, and two 14,000-foot peaks Mt. Evans and Pikes’ Peak. Historic Opening of Pike’s Peak to Bicycles! Starting on January 1st, 2013 Pikes’ Peak will open year round to bicycles! 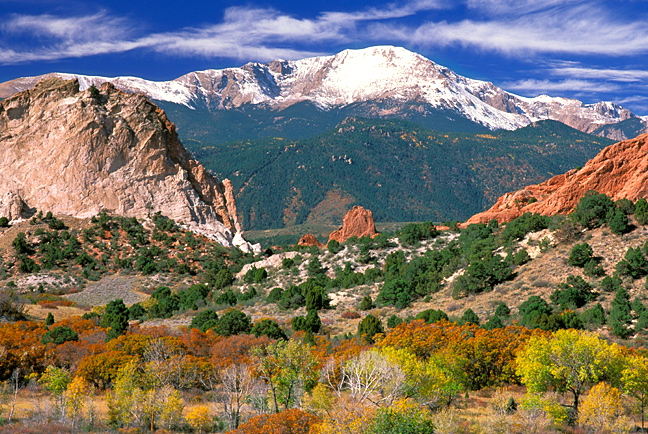 Be among the first to ride to the 14,000-summit of Pikes’ Peak. 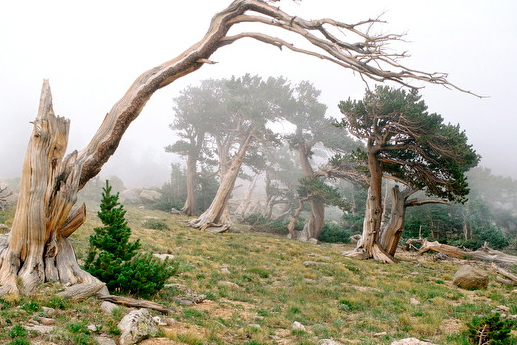 Unparalleled Beauty: At approximately 10,000-feet trees become stunted and no longer grow (tree-line). These are the views Colorado is famous for and relatively few cyclists ever experience. The EC bike tour rides at these lofty elevations. The pictures you bring home will be stunning. What does it take? 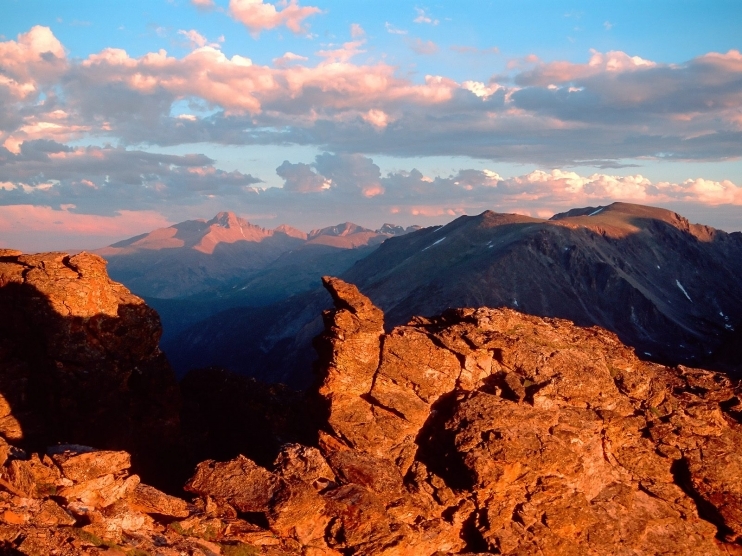 To tackle the nation’s highest paved roads in North America? 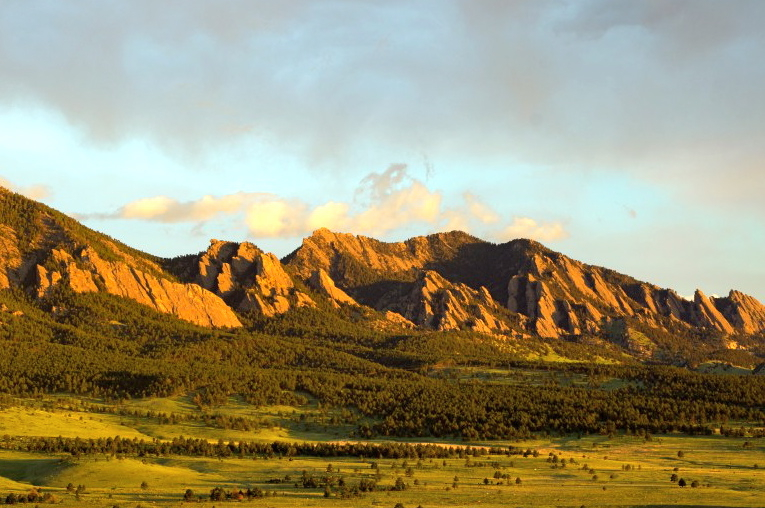 The Colorado Climbing Camp will provide the insight. The Colorado Climbing Camp sets the benchmark by which other Lizard Head Cycling tours are judged. Departing from fitness-frenzied Boulder, Colorado, the Colorado Climbing Camp spends its first day riding Boulder Canyon and Left Hand Canyon above Boulder, Colorado. These canyons where brought to prominence during the heyday of the Coors Classic in the 1980’s. With some 38,000 feet of climbing in five days, the Colorado Climbing Camp is likely to pass snow fields, high alpine bristlecone, mountain goats and marmots, not to mention the array of wildflowers between the stands of Aspen and pine forest. 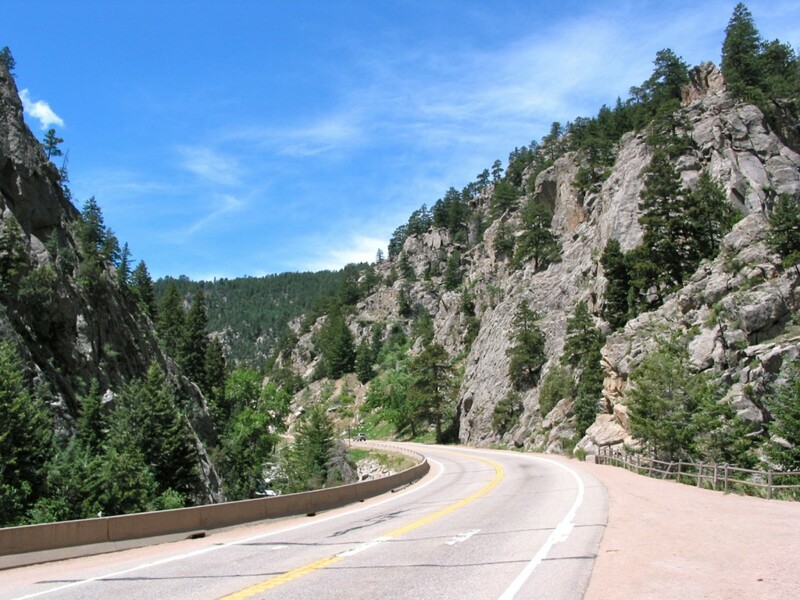 The route includes the Boulder foothills, a ride through Rocky Mountain National Park and two climbs over the Continental Divide. The final day includes yet another summit feat all the way to the top of the newly-opened-to-cyclists, Pikes Peak. Atop Pikes Peak learn about the electrical wizardry of Nikola Tesla. How does Lizard Head Cycling’s Cycling Camps format differ from its all-inclusive tours? Lizard Head Cycling’s Cycling Camp are designed in a training camp format to reach a specific goal or build base miles. Depending on the daily route rides can be guided or unguided. The support vehicle will offer aid stations along the route. Cyclists should be self-sufficient on the bike by carrying food, clothing and basic tools. Following the daily rides cyclists spend the afternoon as they please. Approximately half of the evening meals are included on the Cycling Camp format. Guests are free to choose which time to dine suits them best. Lizard Head Cycling’s staff will insure that your bike is cleaned and is in working order each day. Overall our Cycling Camp format offers fewer-frills then our all-inclusive tours while providing a less-expensive touring option for our guests. Meeting Location: The tour meets Monday morning at the Boulderado Hotel in Boulder, Colorado. After the “meet and greet” cyclists roll-out from the hotel up Boulder Canyon. Regular shuttles are available from the Denver airport to Boulder. Ability Level: 4 (Challenging). (Angels of the Mountains). 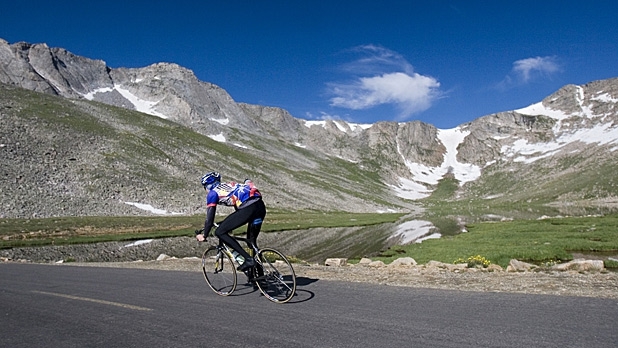 This is the trip is designed for cyclists seeking to climb the highest climbs Colorado offers. Do you prefer higher end 4 and 5 star hotels or 3 star? *Allowing other guest to join drops the tour minimum to 7. 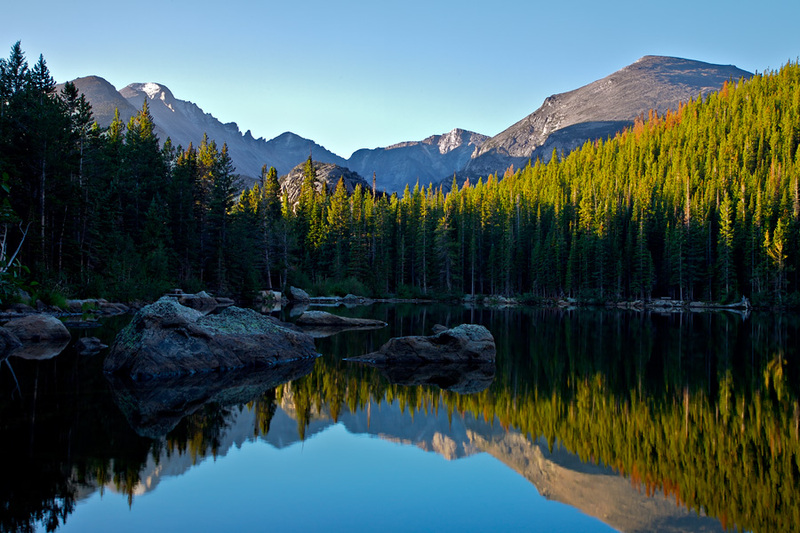 The Typical Colorado Climbing Camp Tour Includes: 4-nights of lodging (Monday through Thursday night), daily packed lunch, daily breakfast at hotel, 2 nights of dinners, energy food, entrance fees, shuttles, 2-water bottles and mechanical support. Alcoholic beverages, massage & bike rental are additional. *If guests are staying at the Denver airport prior to or after the tour, hotel accommodations should be made in advance. 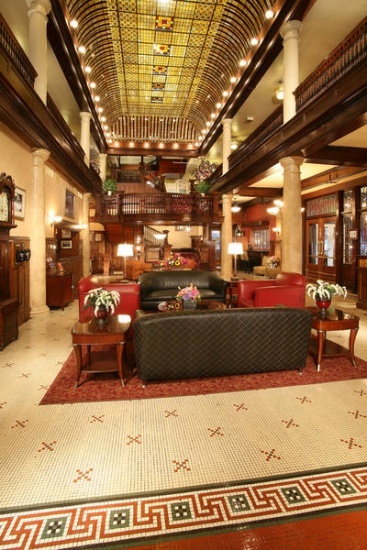 Following the conclusion of the tour on Friday guests will be shuttled to the La Quinta Denver Airport Hotel. Bike Rental: Lizard Head Cycling rents Scott CR-1 Comp carbon road bikes with Shimano Ultegra. The Scott CR-1 is a lightweight (sub-17lb. ), high performance, bike geared for climbing. Who Can Ride this Tour? 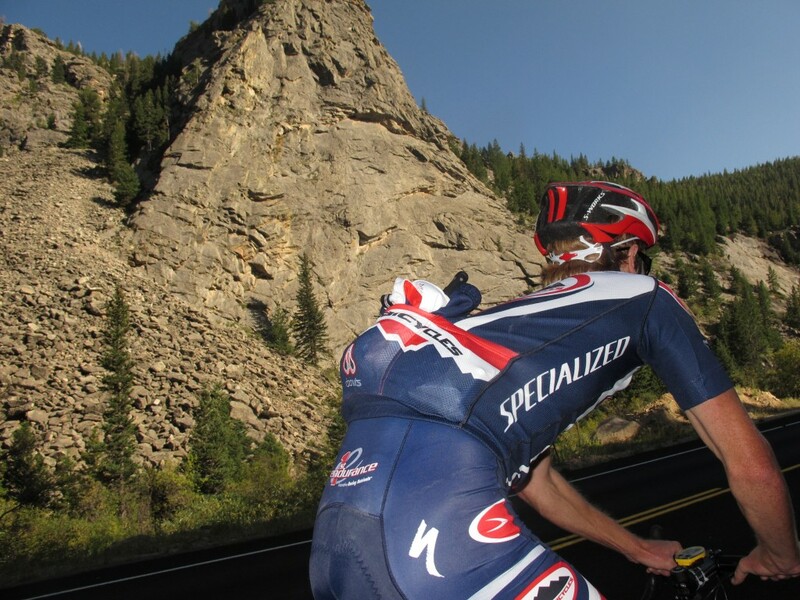 Lizard Head Cycling provides daily mileage options on the Colorado Climbing Camp tour. Although the Colorado Climbing Camp is among the toughest in North America, it averages 60-miles per day. Cyclists have all day to reach their destination. Each day can be shortened by taking a 5 or 10-mile “bump” via the support vehicle. Remember: “You’ll be ready for a Lizard Head Cycling tour, when you are finished with a Lizard Head tour.” Unless one quits their job, it is difficult to simulate a multi-day bike tour. 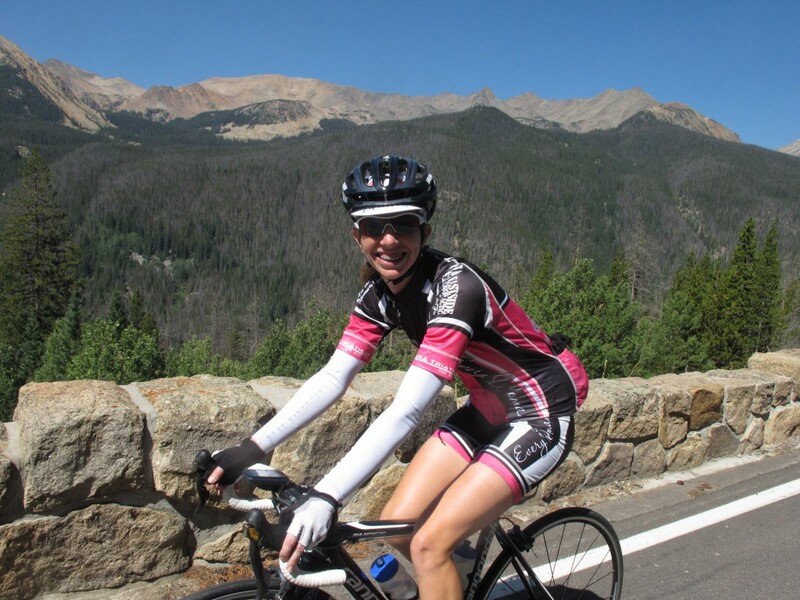 On Day 1 cyclists ride the professional training ride of Boulder Canyon and Left Hand Canyon. Cyclists depart from the meeting hotel, the Hotel Boulderado. Cycling and Boulder are synonymous. 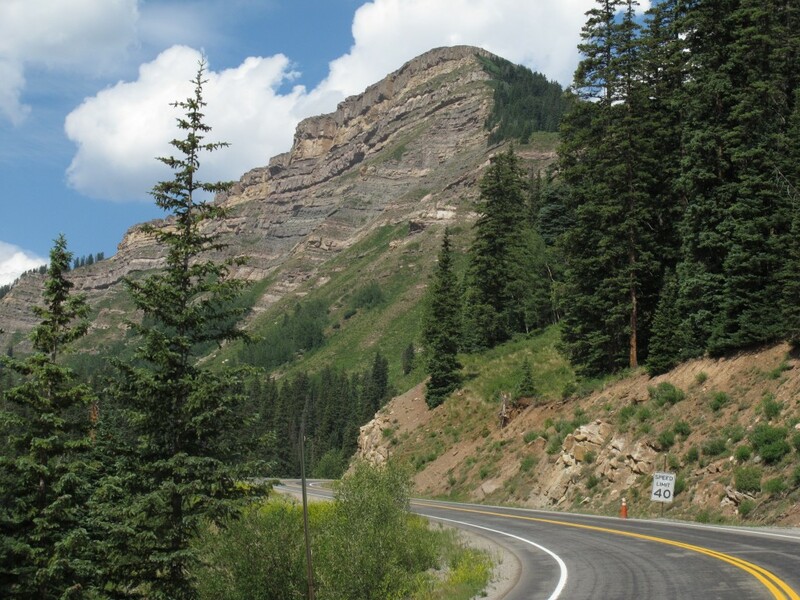 The 45-mile loop that includes Boulder Canyon, the Peak to Peak Highway, Left Hand Canyon and Lee Hill Road includes 5,843 feet of climbing. This should help cyclists ease into the climbing rhythm as they strive to tackle the massive climbs ahead. Boulder, Colorado is geared to outfit anyone seeking to achieve the grand challenges awaiting cyclists on the highest roads in North America. Yes, one could just stop by McGuckin Hardware and pick up an $11 large inner tube for a leisurely float down Boulder Creek, but our goal is to ride to the top of watersheds. Such a pleasure could be a just reward. Our ride through the gateway that leads to outdoor recreation in the Indian Peaks Wilderness, Roosevelt National Forest, Rocky Mountain National Park and James Peak Wilderness, a newly designated piece of the national wilderness matrix. 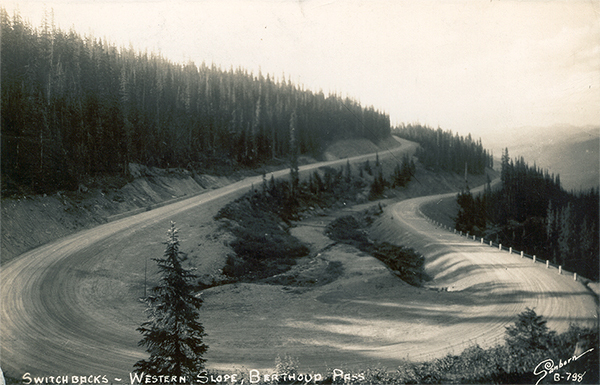 Popular cycling roads on this day include Left Hand Canyon and Lee Hill drives on the loop. Athletes somehow find focus in a town that has a busy music scene, plenty of cuisine, shopping and social entertainment. Focus is key to success on this trip that will test your mountain-climbing mettle, but Lizard Head Cycling Guides will keep you from utterly floating away. Day Two will take us into the heart of the Rocky Mountains with an astronomical amount of climbing to completed by day’s end. 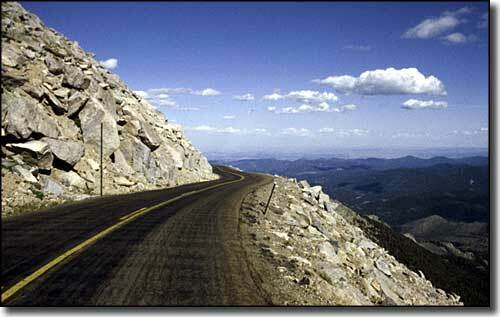 The ride from Boulder through Rocky Mountain National Park will be the hardest day of the tour. However, the goal, first, is to take some victory photos in the places where last winter’s snow still clings to the mountain side. Looking at the vertical tally of climbing for the day, 12,687 feet, one is apt to shout the most famous line from the film “The Princess Bride” – “Inconceivable!” Nonetheless, we will make an attempt and ride west out of Boulder on bike-friendly streets back to Lee Hill Drive and on northwest to Overland Road, which will take us to a new portion of the Peak to Peak Highway as we wind our way high into the mountains. 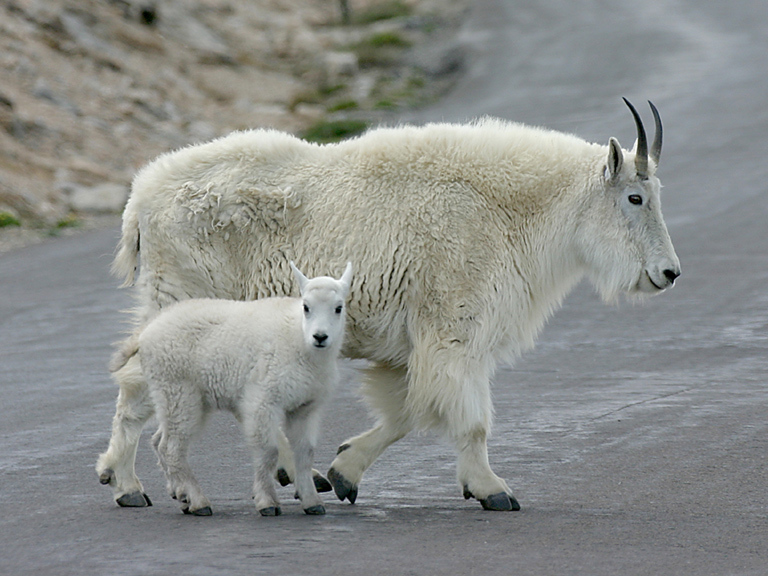 Mountain sheep and marmots will be some of our company as we explore this high altitude wonderland of the Rocky Mountains. We will finish our day at the Gateway Inn in Grand Lake where with views of Lake Granby and a restoring meal before hitting the hay to rest up for Day 3. 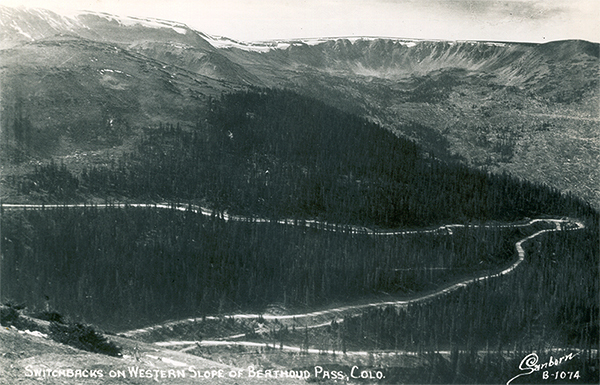 This morning Cyclists climb over the Continental Divide via Berthoud Pass to Idaho Springs. The Continental divide splits the Atlantic and Pacific watersheds. 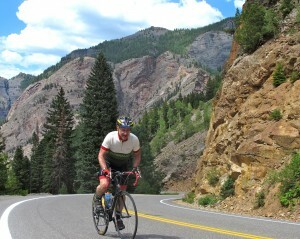 Day 3 can be considered the rest day of the Colorado Climbing Camp tour with only 41 miles and 3,300-feet of climbing. Our destination of Idaho Springs sits at the base of Mt. 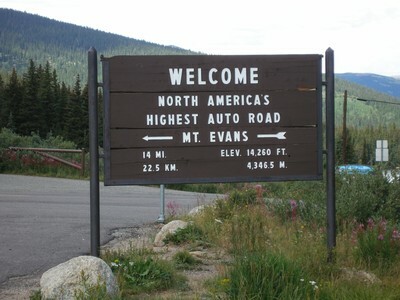 Evans where tomorrow cyclists will muster up their strength to scale the “highest paved road in North America”. Legend has it that the name for the historical mining town of Idaho Springs, where gold was fist found in Colorado, came from an aboriginal chief who would travel from Idaho to soak in the healing springs located here. So, if Mt. Evans is still on your radar, take it easy on the wine tonight, more than 8,000 feet of climbing awaits! Up, up, up. For sure, Mt. Evans is not the steepest pitch we will have climbed this week, but it is a grueling climb at the highest elevation we have yet attempted. It will take its toll, especially after the previous 3 days of riding. Surpassing 14,000 feet on a bicycle is nothing to sneer at. It is important to keep the head in the game today, especially on the descent when wildlife encounters are possible. So, be careful after celebrating at the summit not to over-cook the turns on the way down. After the descent we’ll shower up and shuttle to Manitou Springs for tomorrow’s ascent of Pike’s Peak. If climbing one 14,000-foot summit was not enough, how about a second? 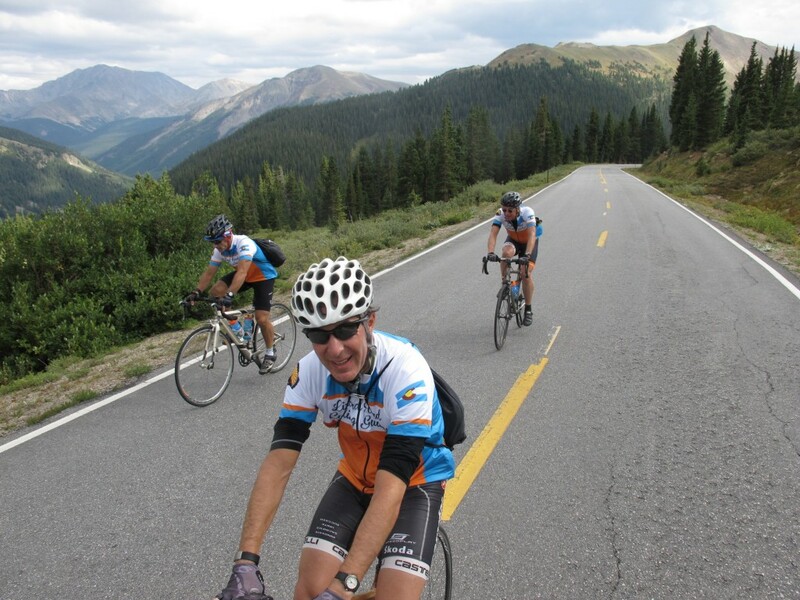 Day 5 challenges the inner climber in all cyclists to pedal to the summit of Pikes Peak, the most eastern 14-er in the Rocky Mountains of the United States. Consider yourselve lucky to take on this additional arduous ride: 2013 will be the first year cyclists are allowed to pedal the peak to this National Historic Landmark unescorted. A one month-long pilot program held in fall 2012 brought positive response from both cyclists and the United States Forest Service and Pikes Peak, “America’s Mountain”, was opened year round to bicycles. Standing at 14,110 feet, Pikes Peak is the most visited mountain in North America and the second most visited in the world after Mount Fuji. More than 15,000 hikers attempt the peak each year via hiking the Barr Trail. We’ll take it on via 19 miles of paved highway climbing more than 8,000 feet. The Pikes Peak Highway was just recently only paved half way, but in October 2011 the paving was complete to the top, another reason to seize the opportunity to ride up a Colorado 14-er. The summit of Pike’s Peak is where cyclists can earn a new notch in their own personal histories, by successfully completing every grueling and rewarding mile of this Lizard Head Cycling trip. Yes, now is the time to take a deep breath, relax and enjoy a cold cerveza. Meals on the Colorado Climbing Camp Tour: Breakfasts and dinners in restaurants guests either order off the menu or choose from a buffet. Fresh lunches that include salads, local fruit, vegetables and meats are served in roadside parks by the Lizard Head Cycling Guides. Any dietary preferences or allergies should be noted on the registration form. Each of Lizard Head Cycling’s lunches contains gluten free options. Colorado Climbing Camp Ride Difficulty: Advanced riding with tour support. Lower mileage options are available each day. Tour Support: A 15-passenger van and trailer that carries luggage, food and equipment supports Lizard Head Cycling’s tours. Cyclists keep a day bag that is accessible within the support vehicle. The Daily Schedule: Cyclists ride their own pace. Lizard Head Cycling does its best to support riders in their varying desires and efforts. Cyclists can either use our tours to simply support their tour experience or to engage in a guided experience along the route.